A newfound, pea-size frog, Microhyla nepenthicola, sits on the tip of a pencil. 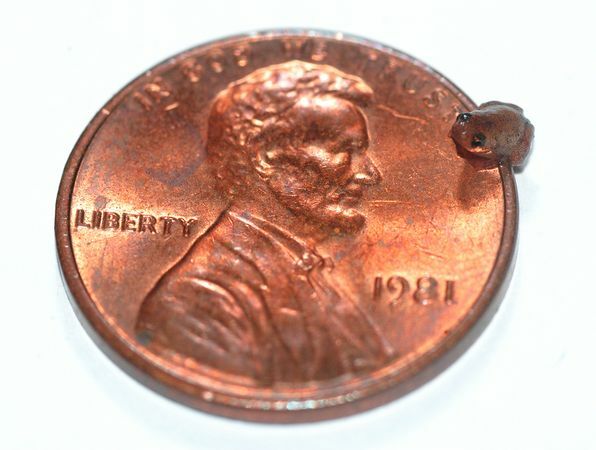 One of the smallest frogs in the world, the species was spotted inside and around pitcher plants in Malaysian rain forests on the island of Borneo, which is divided among Brunei, Indonesia, and Malaysia. An adult male of the new species is about the size of a pea. 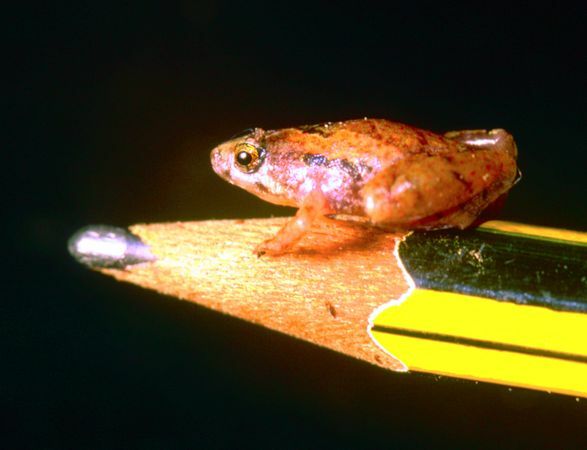 Their size makes them hard to spot, but fortunately for scientists, these mini-frogs have a loud croak.